Not only have they dropped some of our better performers from the series in England (where the World Cup will be held), but the people they replaced them with are just completely ridiculous, and most haven’t even been performing in the big bash or any form of domestic one-dayers. Let’s start with the skipper himself. 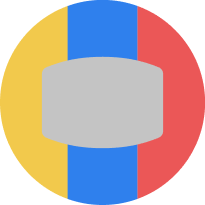 Ever since the tri-series against Zimbabwe and Pakistan, Finch has been in horrendous white ball (and red ball) form. As if his poor form isn’t enough, Finch has been handed the captaincy, so he will be under even more scrutiny, which is probably the reason he has lost form in the first place. He has been forced to change his technique and he has lost heaps of the confidence he had built up during the first half of 2018 as a result of the low scores this technique has brought. 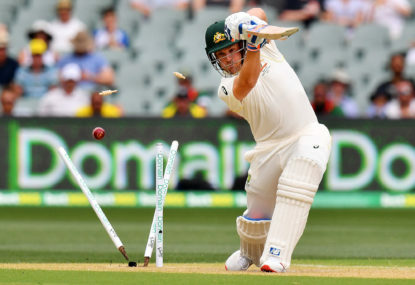 Was it worth sacrificing Finch the excellent white ball batsman for Finch the okay white ball batsman and failed Test batsman? I think not. 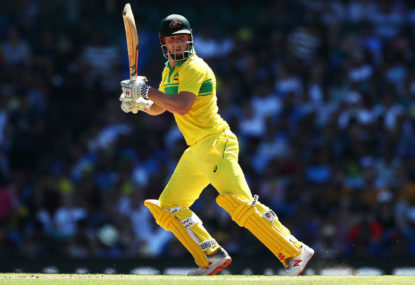 Moving on, I am perhaps one of the biggest critics of Shaun Marsh but he has batted really well in the one-dayers as of late and I think he deserves this spot. 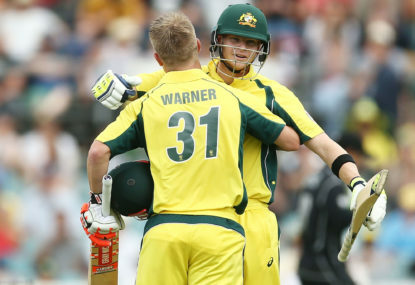 I also believe, however, that Marsh either needs to retire or just be permanently dropped after the World Cup because I really don’t see a future for him in the Australian setup as a player after that. Another good selection is Usman Khawaja, he is a versatile batsman with plenty of class but yet again: will he be useful for us after the world cup is finished? He is into his thirties now and we aren’t seeing many signs of improvement from him as of late (in fact he is probably getting worse). 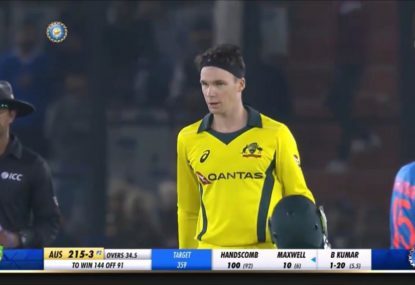 Now the two Vics: Handscomb and Maxwell. 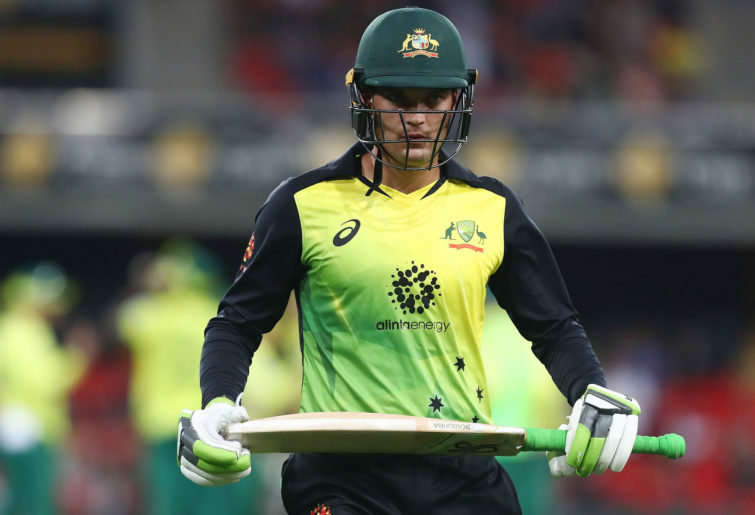 Handscomb had a good JLT cup and played very well the other night in the big bash (where he saw the Stars home against the Sixers), but his technique is still a major issue. I think as long as he plays as he does in T20 he should have no problem with those juicy half volleys he seems to get bowled off every time he bats. As for Glenn Maxwell, well he must have problems with the selectors since they never pick him even if he does exactly what is asked from him, but here he is. 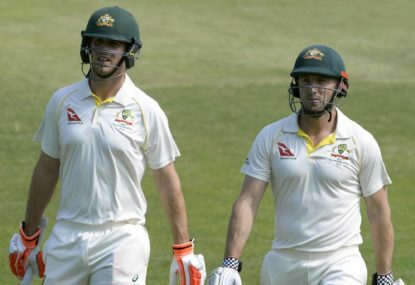 Maxwell has been one of the more consistent performers in the Australian one-day setup as of late and probably deserves more of an opportunity (especially with the ridiculous top order that has been picked). Alex Carey has played well in his time with Australia but how have the selectors looked past Matthew Wade here? Wade has been in team crushing form and has hardly missed a trick since the end of last year. Wade should be in this side, even if it is just as a batsman. All that said, Carey is still one of our better players of spin and still deserves his spot (perhaps more than some). 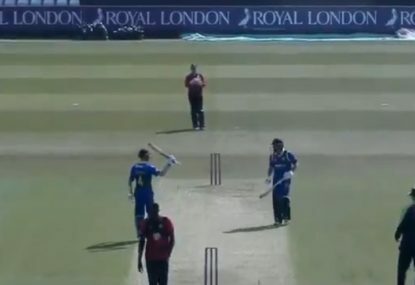 Now I can agree with the selectors dropping D’Arcy Short here as he hasn’t played all that well for a long time now, but dropping Lynn and Head was just plain silly. Chris Lynn can bat in the top three and make quick runs in the powerplay or he can come in at the end and play a David Miller type role. He is versatile and he doesn’t take long to score those valuable runs, which takes a bit of pressure off the rest of the batting unit and Travis Head was probably one of our better batters over in England (even though he should definitely not be opening). I think Head should go back to batting at five because as soon as we moved him he stopped making runs. Now I actually don’t mind this bowling attack, it is fairly well rounded and has two very good spin bowling options but we are seriously lacking a death bowler here. In recent times we have probably lost most of our matches at the death because we constantly get carted there. Part of that could be attributed to poor captaincy though (instead of letting the batters settle against a bowler keep constantly chopping and changing). I think Peter Siddle isn’t a bad inclusion as it looks like he has really made an effort to adapt to the shorter forms and it has really paid off in the BBL over the past two years. Now onto two other people who weren’t selected but I think deserved selection, and one of the first people that come into my mind is Callum Ferguson. Now, this probably seems ridiculous but he had an excellent English list A campaign, he made heaps of runs at a good rate. But Ferguson is also getting on in years and is probably another temporary answer until after the World Cup. Another one that should have been picked is Ashton Agar. He was almost our best batter over in England, but he is a bowling all-rounder. What are the selectors saying by dropping one of our best batters and bowlers? We drop those who play well. There are so many people that havent made this squad but probably should have been picked. All in all, the bowling selections are a bit left field but by no means bad. But yet again, the selections with the batsmen are extremely biased or the selectors just have no vision of the future for Australia in this format.